Our favorite jazz quintet is back to celebrate the annual International Jazz Day with their usual awesome performance. 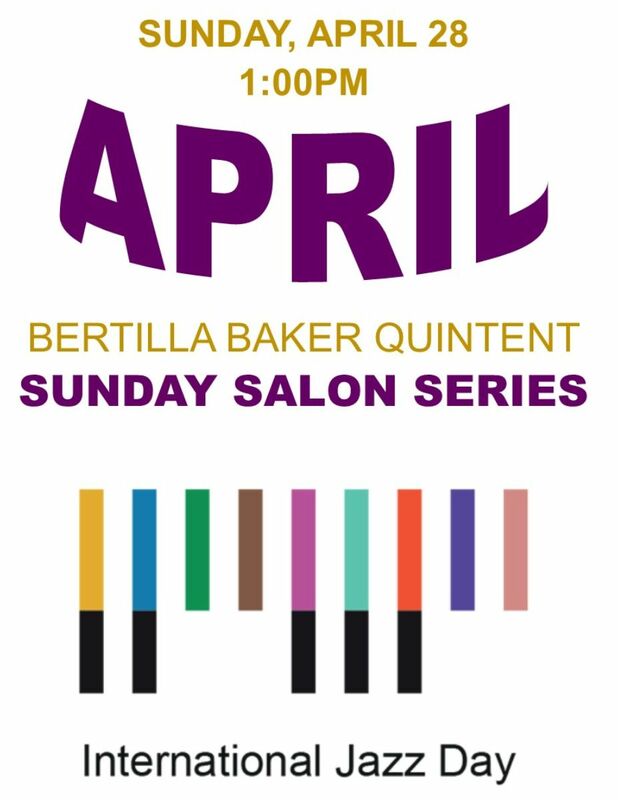 This time Bertilla Baker, Oscar Molina, Josh Quinlan, Andres Montero and Fernando Viquez are joined by a guest U.S. trumpet player. Plan to arrive at 12:30pm. Performance starts at 1:00pm and admission is c5,000 donation. Food and drinks additional. Space is limited, please RSVP to nancysperry1@gmail.com. The beneficiary for this event is the SiNEM San Ramon Instrument Upgrade Program. 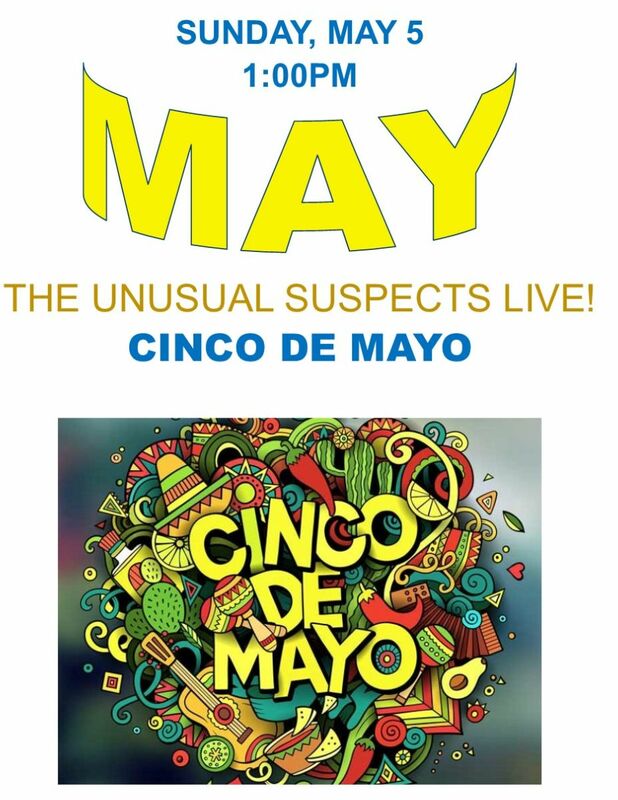 Celebrate Cinco de Mayo with The Unusual Suspects! Dance the afternoon away with one of the most popular Blues and Rock'n Roll bands in Costa Rica. Guaranteed you won't be able to sit still! The event starts at 1:00pm and entrance donation is c5,000, with Chef Andy's favorite Mexican food and drinks additional. Please RSVP to nancysperry1@gmail.com. The beneficiary for this event is the greater San Ramon Region FUNCAVIDA Children's Cancer Foundation. 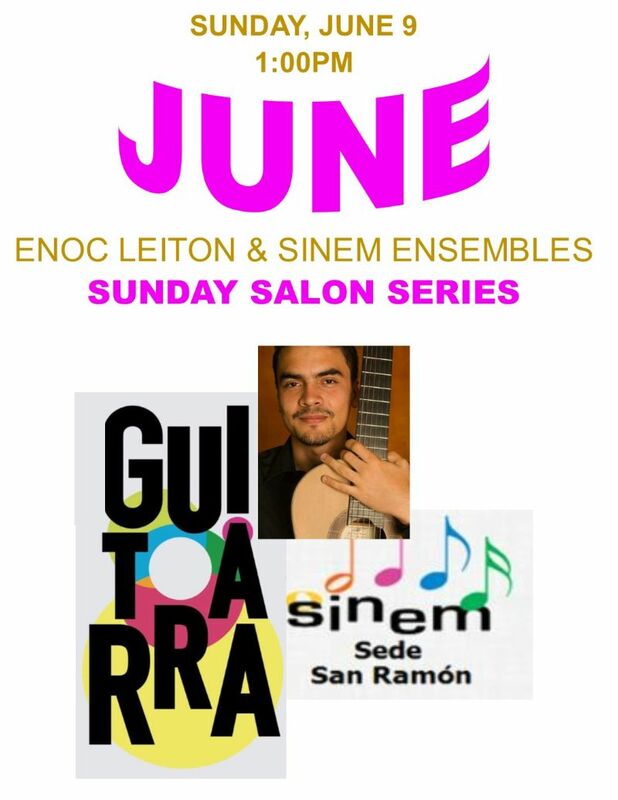 Enoc Leighton is a rising classical guitar musician and resident of Naranjo. Discovered through SiNEM, Enoc has gone on to study at UCR's School of Music Arts and perform classical guitar throughout Costa Rica and internationally. He will truly "blow your socks off" with his talent, joined at this event with guest flutist. Separate performances by SiNEM's highly-respected "Guitar Ensemble" and the "Jose Daniel Ensemble" round out the afternoon. Plan to arrive at 12:30pm. Performance starts at 1:00pm and admission is c5,000 donation. Food and drink additional. Space is limited, please RSVP to nancysperry1@gmail.com. The beneficiary for this event is the SiNEM San Ramon Large Instrument Upgrade Program. Join us once again for Hacienda Vivace's Annual July 4th Independence Day. It's an organized potluck and celebration to say thank you for all your support throughout the year. The party starts at 12:00pm on Thursday. Your "admission" is a dish and drink to share. Please RSVP to nancysperry1@gmail.com and tell us if you're bringing an appetizer, salad, main dish or desert. And then get ready for an excellent dinner and outstanding "rock'n roll" with Kirk Thill and Mike Kardos' Rock'n Rica!